This study investigates the applicability of decanter centrifuges for high efficient separation of valuable proteins from whey. Thus, two different types of protein aggregates, α-lactalbumin (α-la) and β-lactoglobulin (β-lg), were produced by means of selective thermal aggregation. The two aggregate suspensions were investigated for their particle characteristics, sedimentation, and consolidation behavior, and were finally separated in a lab-scale decanter. They showed severe differences in particle size distribution, particle shape, and in the underlying molecular binding mechanisms, all affecting their separability. In scale-down experiments, the non-covalently stabilized α-la aggregates presented sedimentation enhancing flocculation, and a high compressibility of the cake. However, the beneficial sedimentation effects were not observed in the decanter, as the centrifugal forces resulted in particle breakdown. Moreover, the high adhesiveness of sludge-like sediment impeded the discharge. Under best investigated conditions, a clarification around 70% of the supernatant and a dry solid content of 25% in sediment was achieved. Contrary to that, the β-lg aggregates, stabilized by disulfide bonds, were rigid aggregates comprising a median size of 109 μm with irregular shapes. They presented low compressibility in scale-down testing but were discharged as a free-flowing powder from the decanter. The sediment dryness of maximal 40% was attributed to enclosed liquid through thermal aggregation process, which is also reflected in the low particle density. 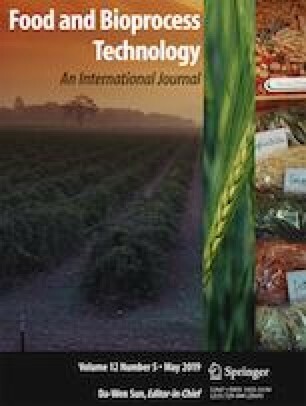 This study demonstrates the successful application of a decanter for the separation of whey proteins and contributes to the understanding of aggregate separability by means of continuous centrifuges. We gratefully thank Annette Brümmer-Rolf and Andreas Greßlinger for experimental support and fruitful discussions. This IGF project of the FEI was supported via AiF (AiF 18126 N) within the program for promoting the Industrial Collective Research (IGF) of the German Ministry of Economic Affairs and Energy (BMWi), based on a resolution of the German Parliament.